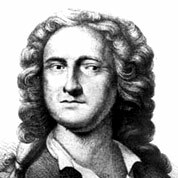 Georg Philip Telemann was a German Baroque composer and multi-instrumentalist. Almost completely self-taught in music, he became a composer against his family’s wishes. He held important positions in Leipzig, Żary, Eisenach, and Frankfurt before settling in Hamburg in 1721, where he became musical director of the city’s five main churches. Carl Philipp Emanuel Bach was a German Classical period musician and composer, the fifth child and second (surviving) son of Johann Sebastian Bach and Maria Barbara Bach. He was a crucial composer in the transition between the Baroque and Classical periods, and one of the founders of the Classical style, composing in the Rococo and Classical periods. His second name was given in honor of his godfather Georg Philipp Telemann, a friend of Emanuel’s father.